Having a hard time maneuvering your fingertips around multi-key combinations like CONTROL + ALT + DELETE (for launching the Windows Task Master) or COMMAND + SHIFT + N (to create a new Mac desktop folder)? Join the club. 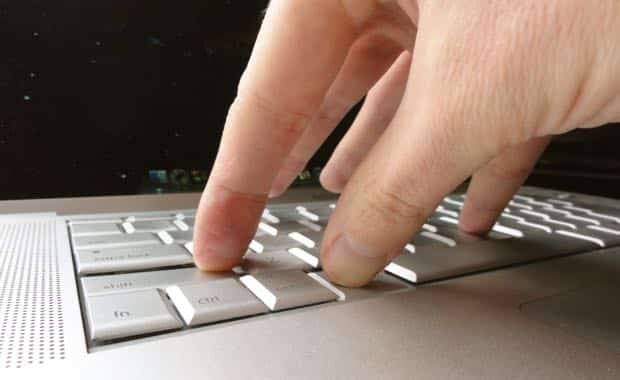 Luckily, both Windows and Mac systems come with a handy feature called “sticky keys.” Turn the feature on, and you’ll be able to press individual keys in a two- or three-key combination one at a time, rather than all at once. It’s a clever alternative to playing “Twister” with your fingers. 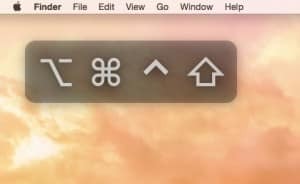 You can set your Mac’s “sticky keys” feature to display pressed key combos on your desktop. Ready to give sticky keys a try? Let’s get started. First stop: System Preferences, which you’ll find under the Apple menu in the top-right corner of the screen. Under the “System” heading, select the “Accessibility” icon. On the next screen, click “Keyboard” in the left column, then check the box next to the “Enable Sticky Keys” setting. Click the “Options” button to customize how the “sticky keys” features works. For example, you can toggle sticky keys on and off by pressing the shift key five times in a row (recommended), as well as having your Mac make a sound and/or display the label for any “modifier” key (such as shift, control, or command) that you press. 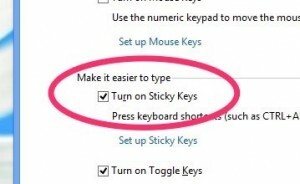 You can find your Windows PC’s “sticky keys” setting in the Control Panel. Go to the Windows “Ease of Access” control panel; open the Start menu and type “Ease of Access” in the search box, or click Start, All Programs, Ease of Access, and Ease of Access Center. Click the “Make the keyboard easier to use” link under “Explore all settings,” then check the “Turn on Sticky Keys” box. Next, you can tweak your sticky keys settings by clicking the “Set up Sticky Keys” link. Among the options: turning sticky keys on and off by pressing the shift key five times in a row (same as on the Mac), playing a sound any time a “modifier” key is pressed,” and displaying the sticky keys icon in the Windows task bar. Click here for more Mac tips, or click here for Windows help.